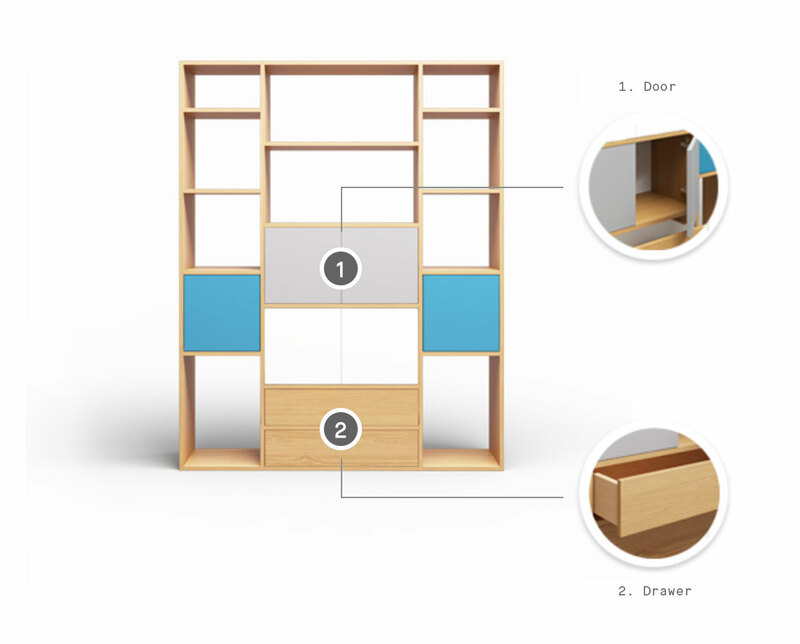 Our online configurator allows you to create an infinite number of cominations in designing your furniture - the height, width, and depth of our shelves are almost limitless, meaning you can create shelves for any space and any room. Discreet brackets between the shelves and side walls make our shelving units perfectly stable and ready to house your belongings. 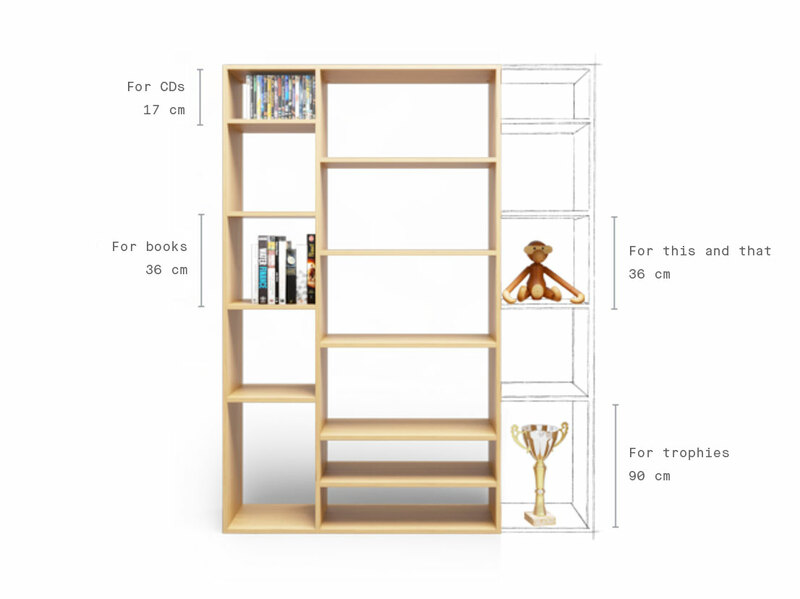 You'll find suggestions for shelf designs on our site, such as for bookshelves and kitchen shelves, or you can just jump in yourself and get designing. What makes our shelves unique is their simple, minimalist, and timeless style. Our high-quality lacquers in a vast range of colours add a special touch to your design. 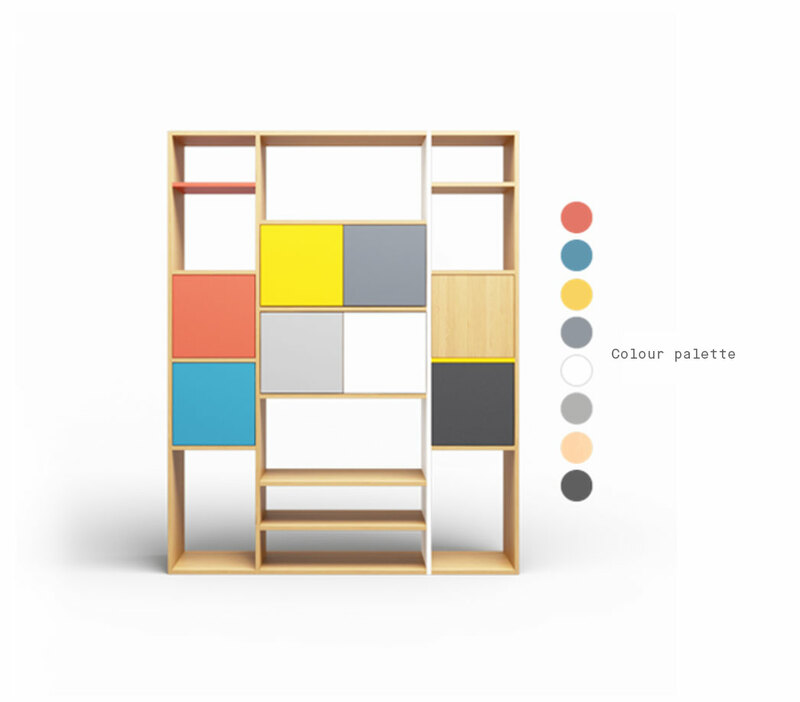 You can combine colours yourself in our configurator, or get some personalised advice on colour combinations from our interior designers, who would be happy to help. You can customise your design even further by adding doors and drawers. The solid wood door and drawer fronts stay minimalist thanks to the push-to-open system with no handles, or discreet metal handles that preserve the simple style. Keep your shelf sleek with flush-mounted front panels in a choice of beech, oak or walnut, then choose from five different leg designs to further refine the overall look of your furniture.